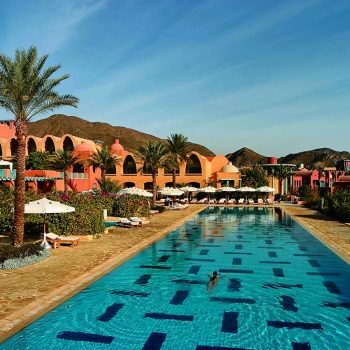 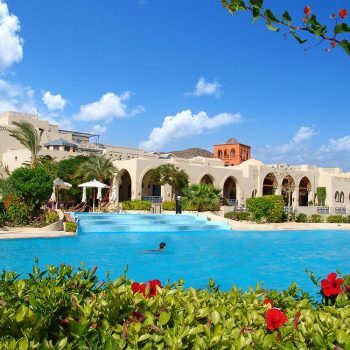 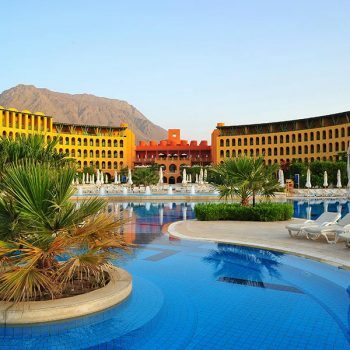 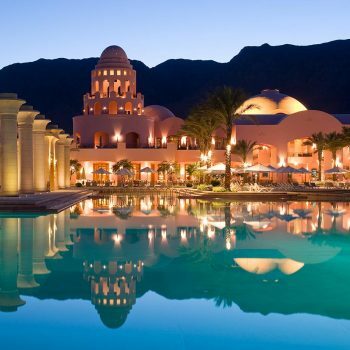 With majestic mountains on the one side and the amazing Red Sea on the other, El Wekala Aqua Park Resort offers a sublime point of view on the surroundings. 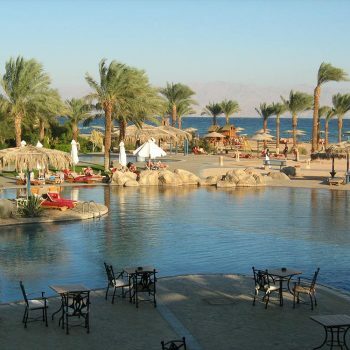 You will always have the azure blue of the sea in front of you and the soft grey of the mountains in the background on the other side of the Gulf of Aqaba. 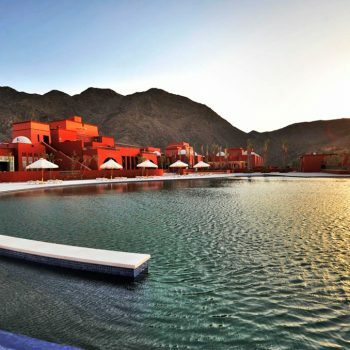 In front of El Wekala the green palms guide you towards the beautiful beaches and the sapphire waters of the Red Sea.